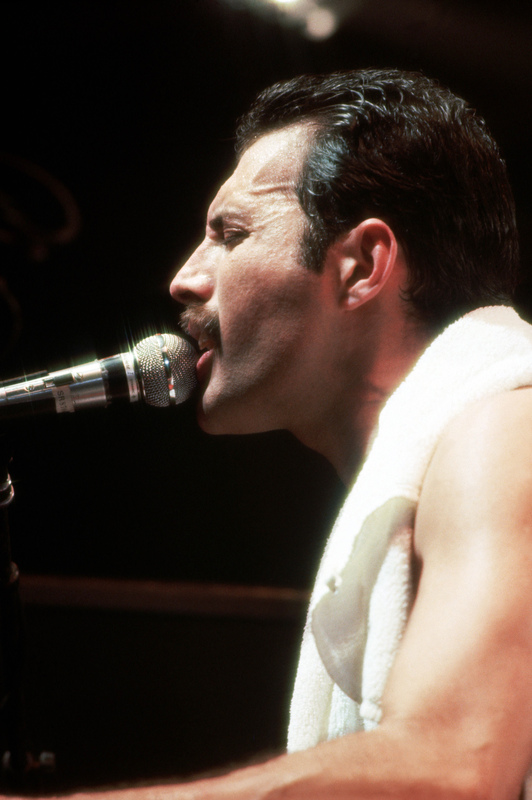 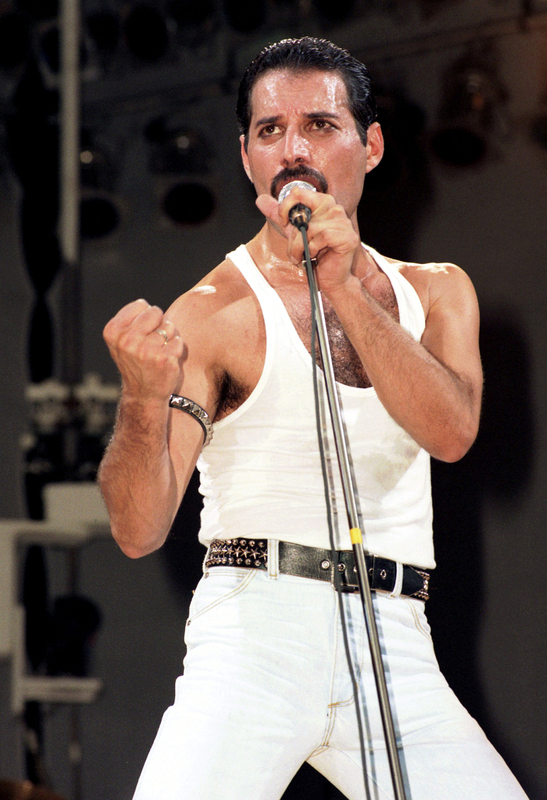 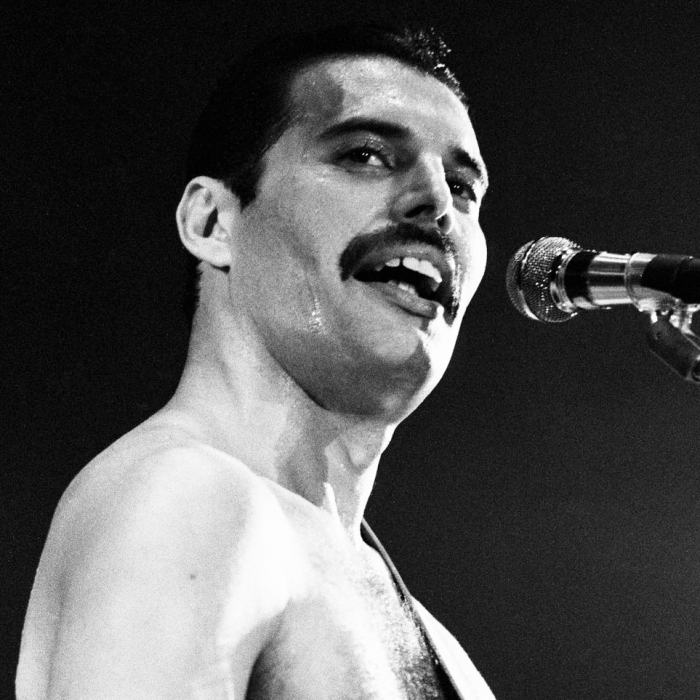 Mercury was noted for his live performances, which were often delivered to stadium audiences around the world. 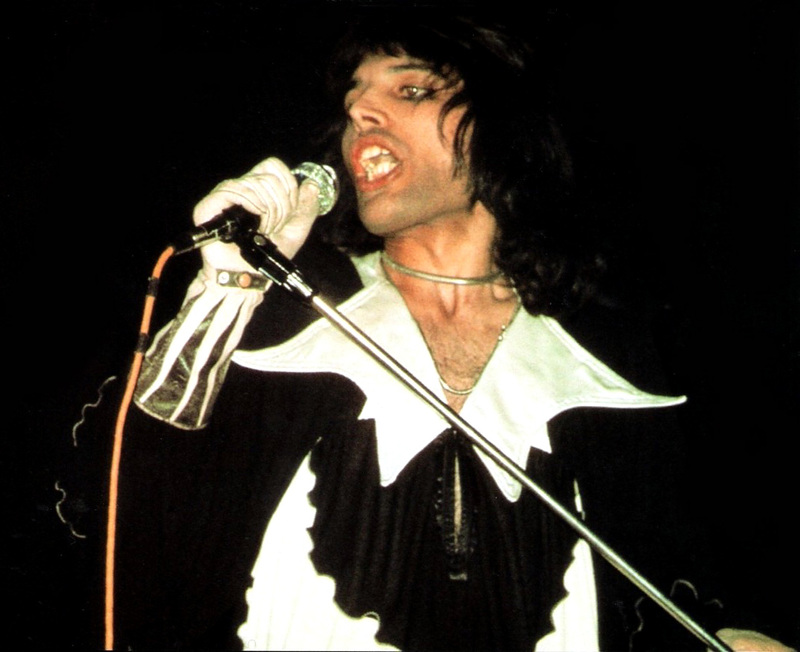 He displayed a highly theatrical style that often evoked a great deal of participation from the crowd. 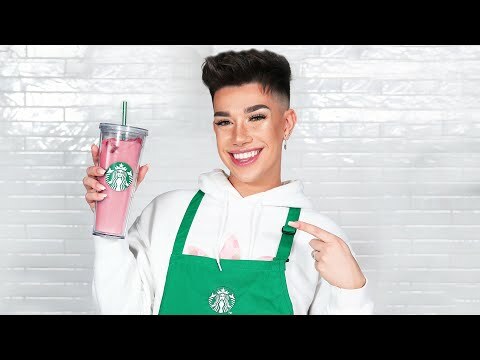 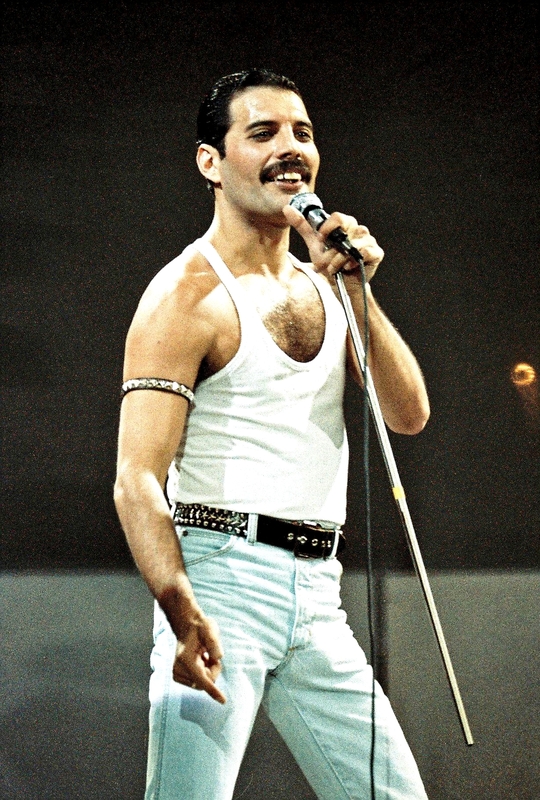 A writer for The Spectator described him as "a performer out to tease, shock and ultimately charm his audience with various extravagant versions of himself. " 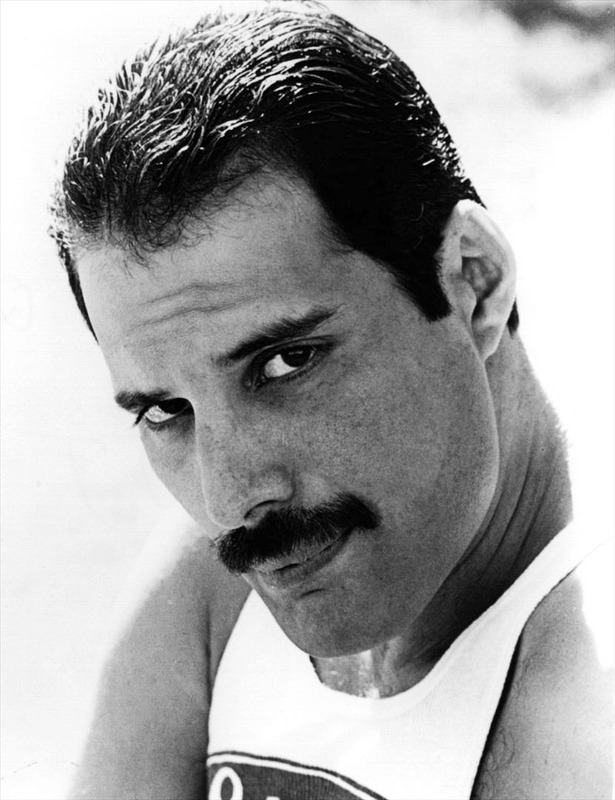 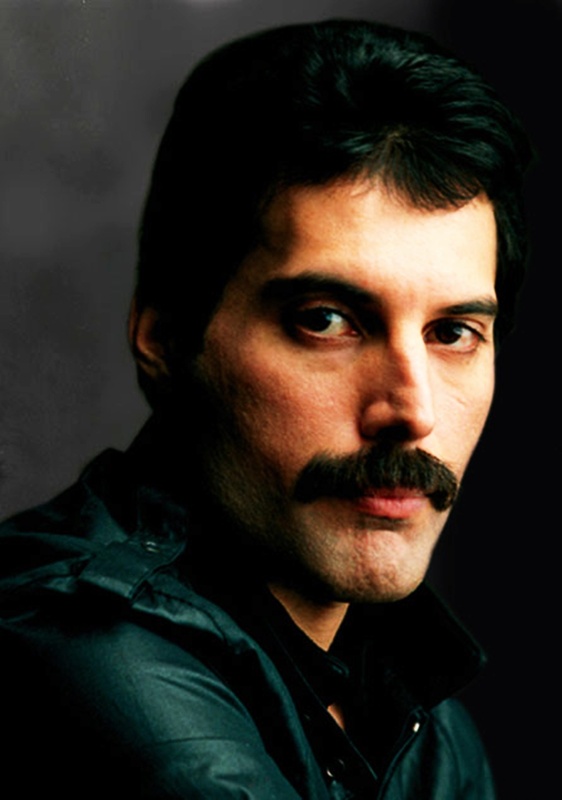 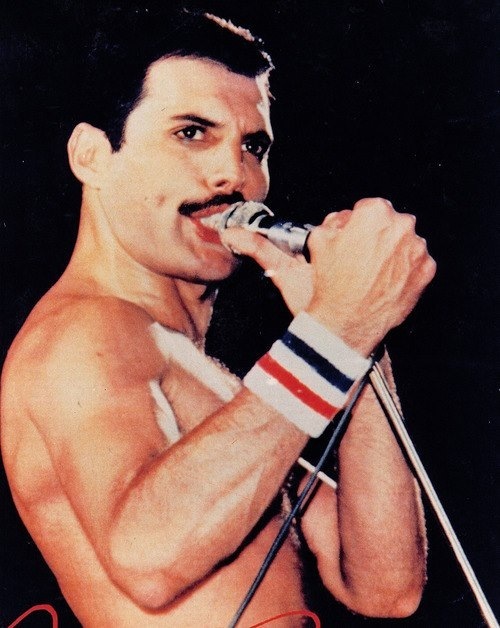 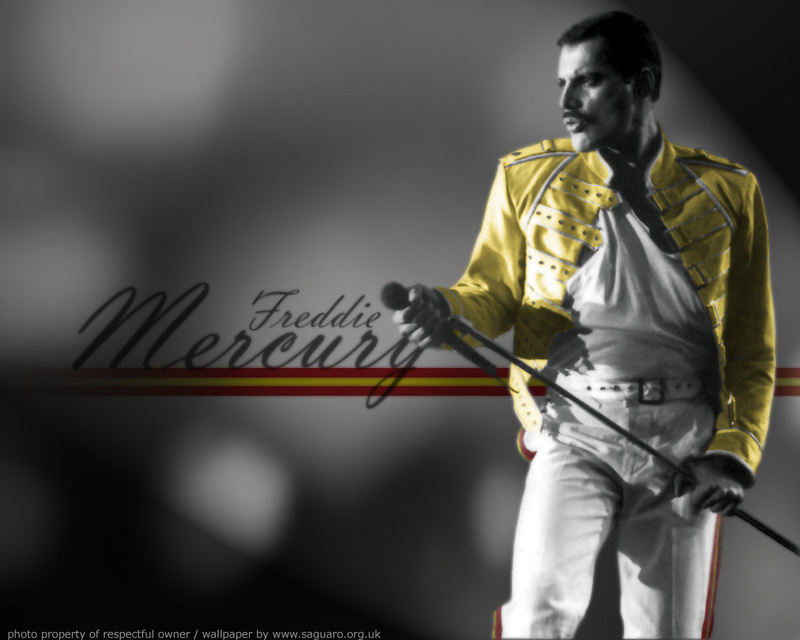 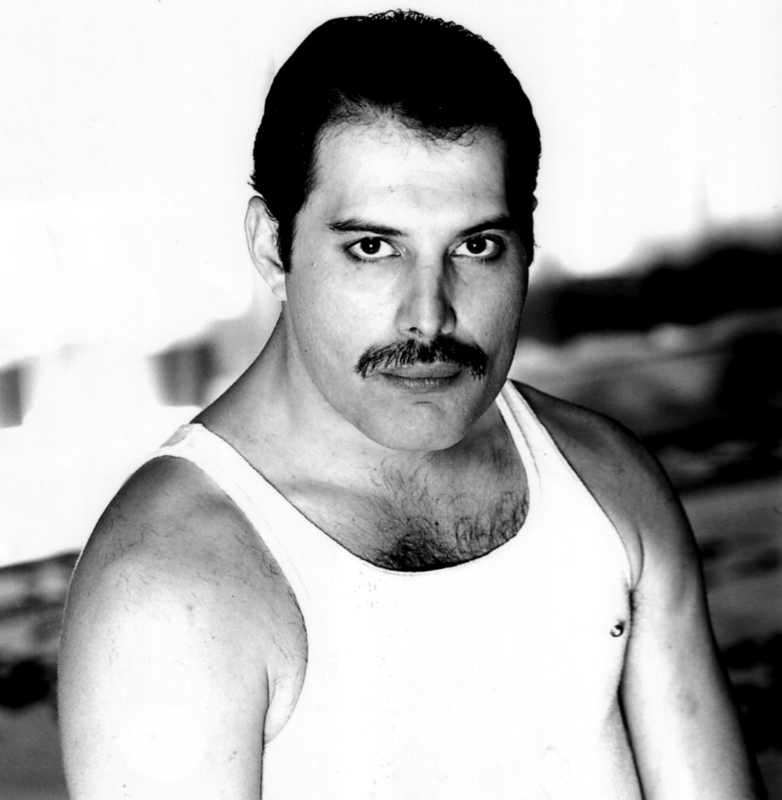 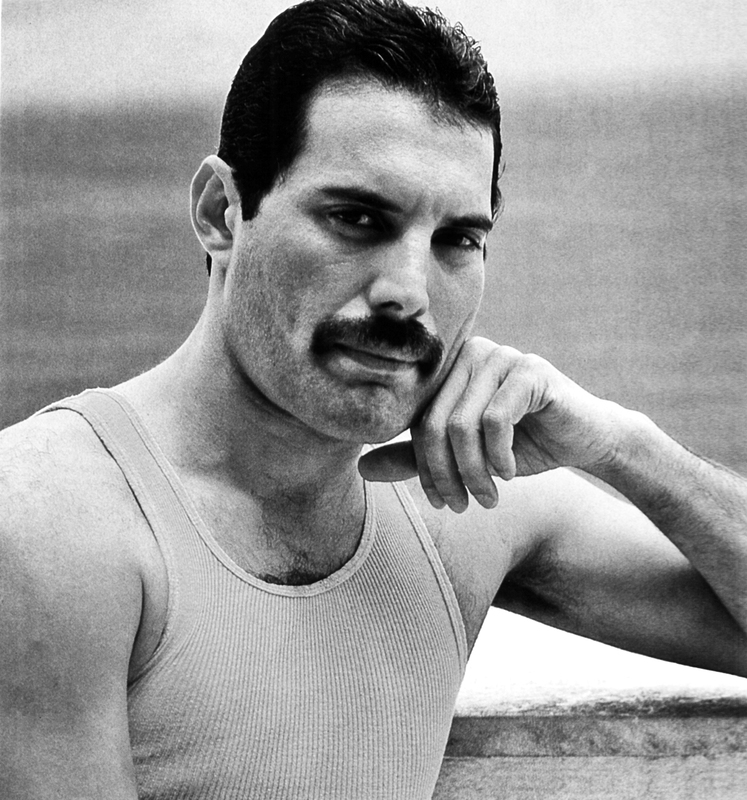 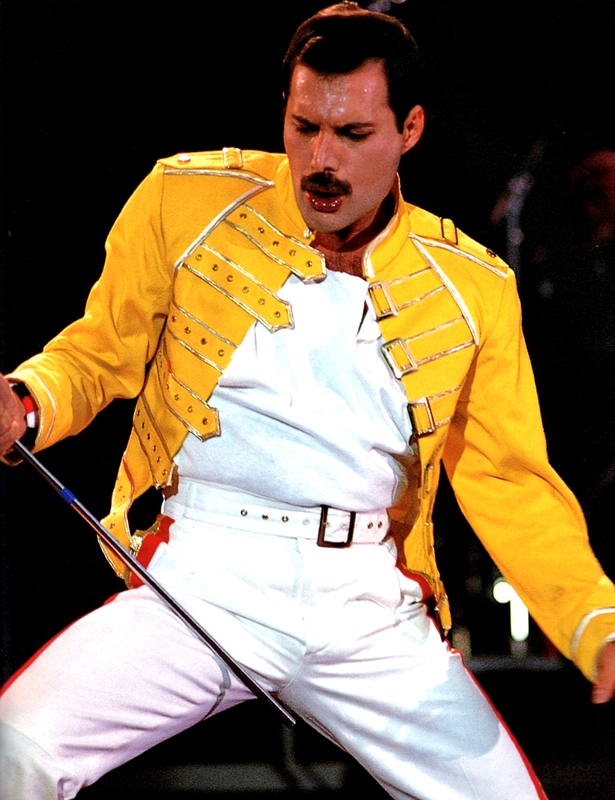 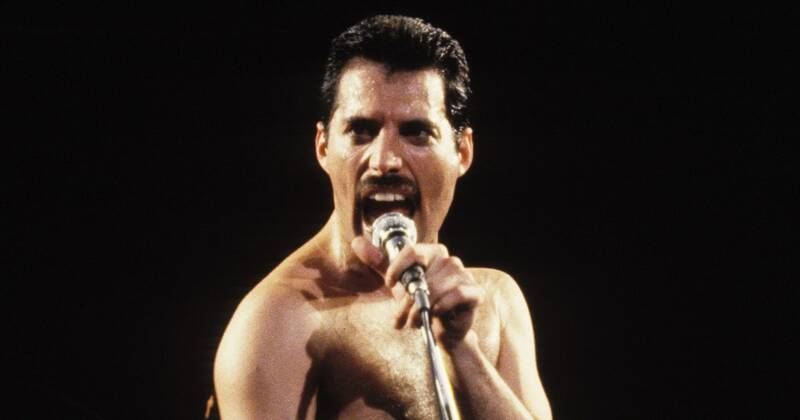 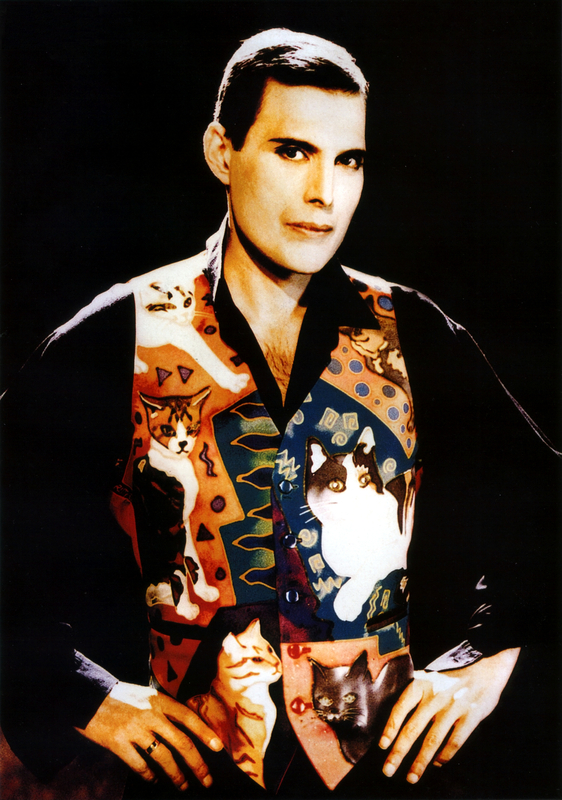 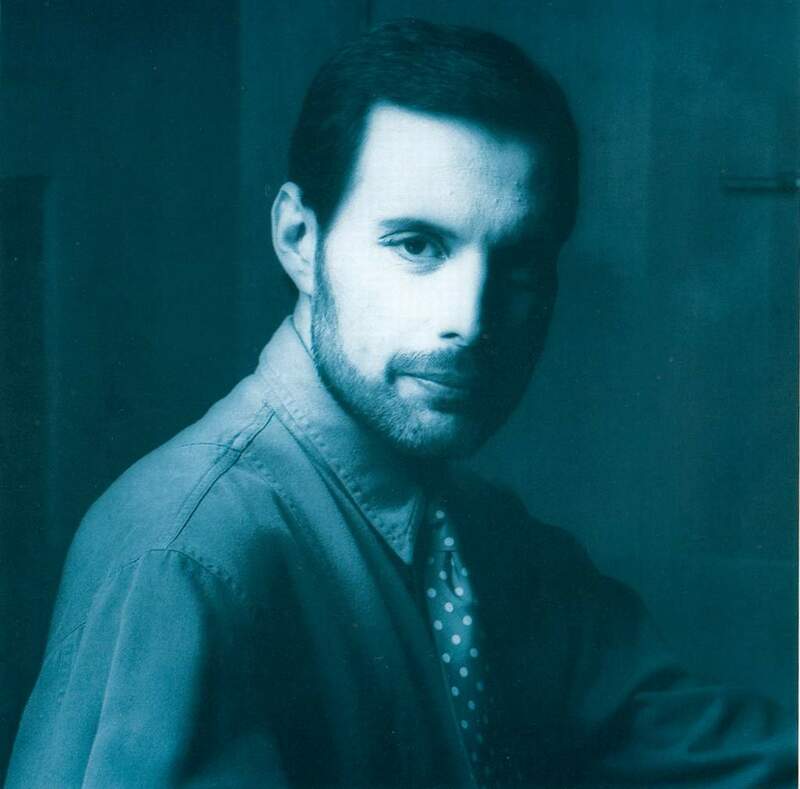 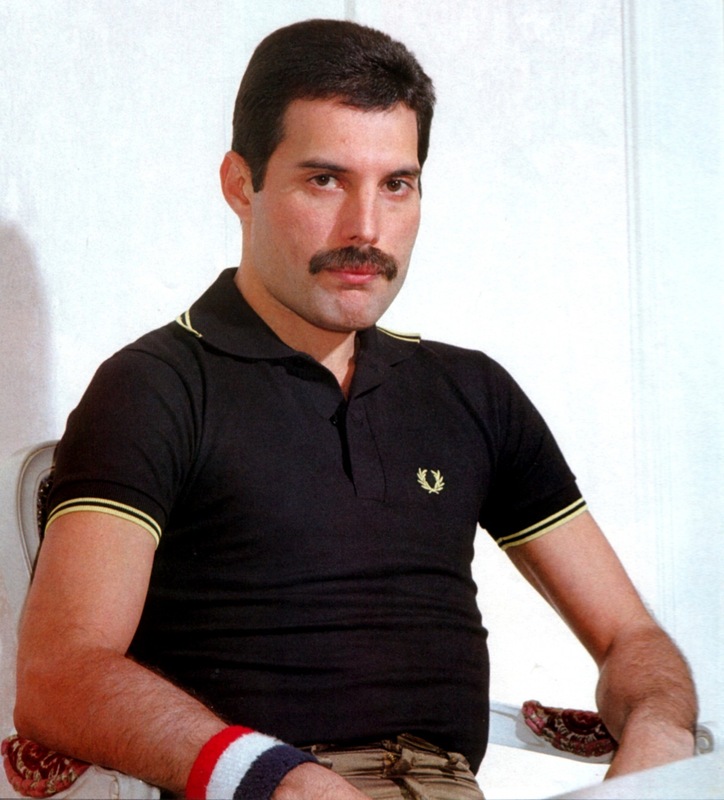 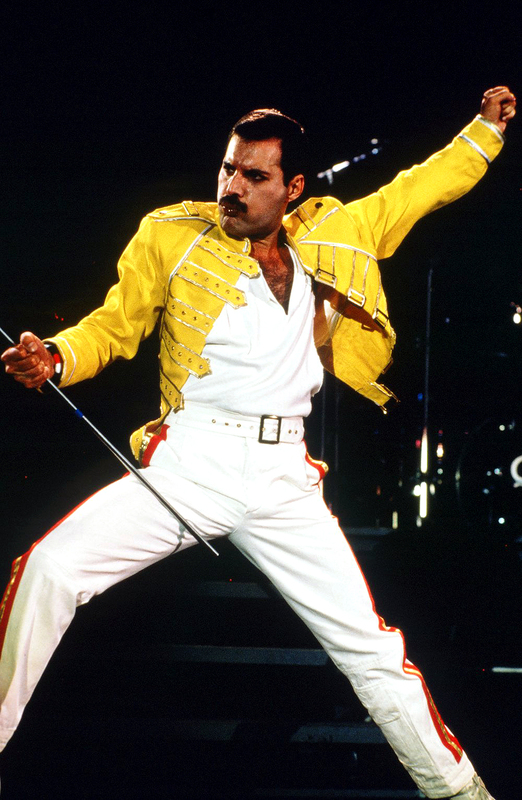 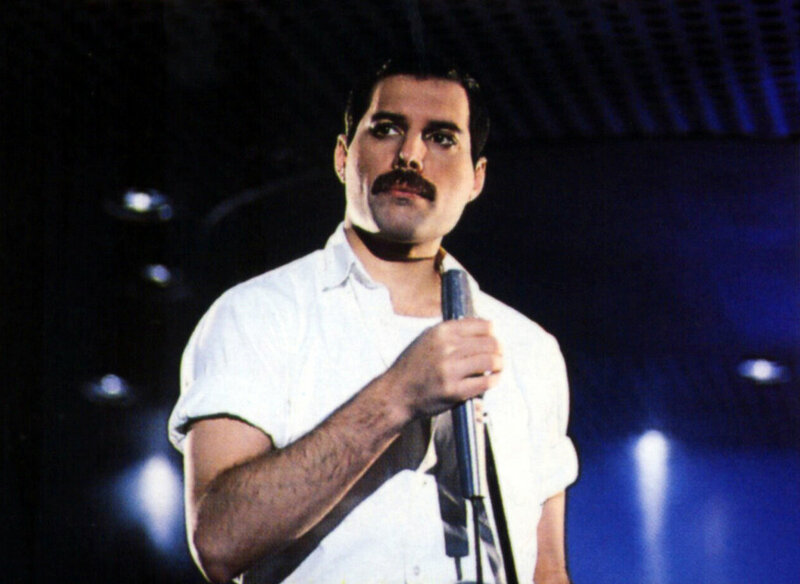 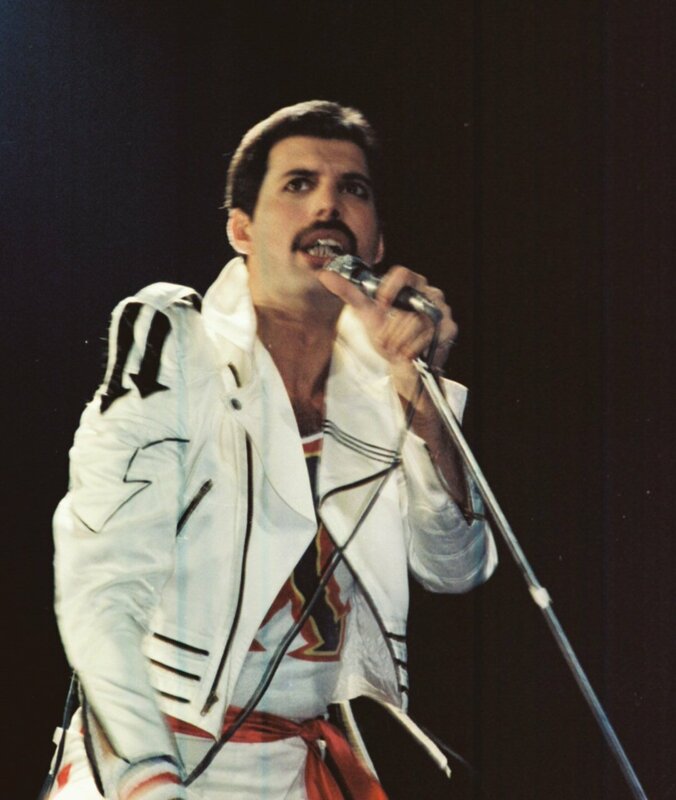 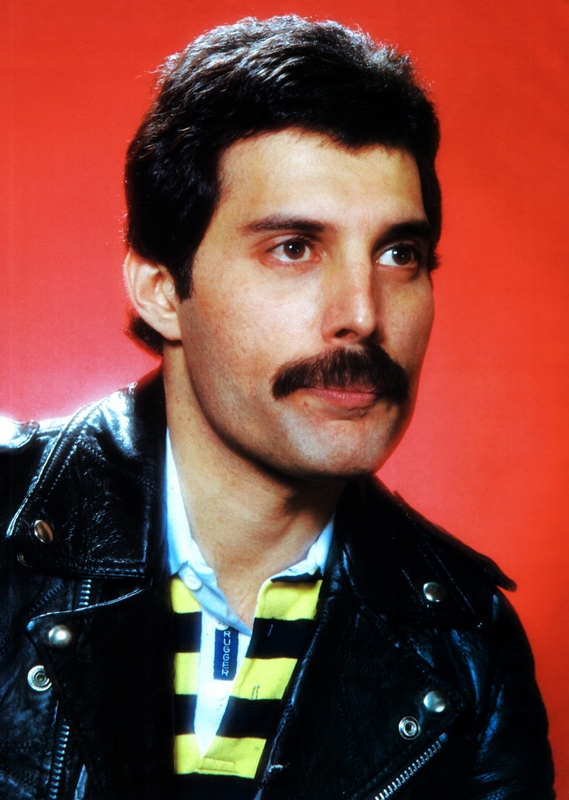 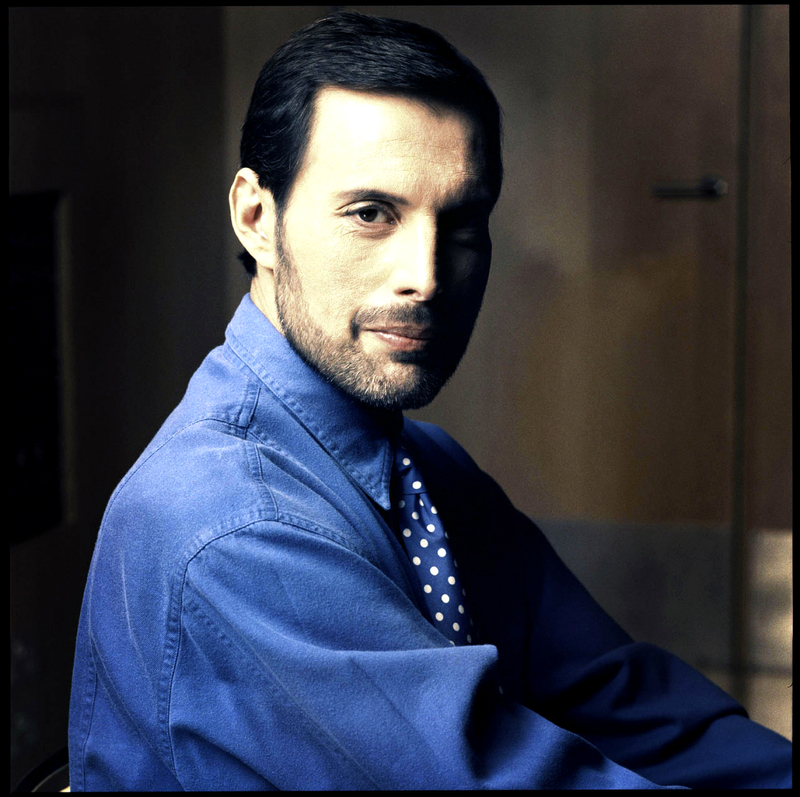 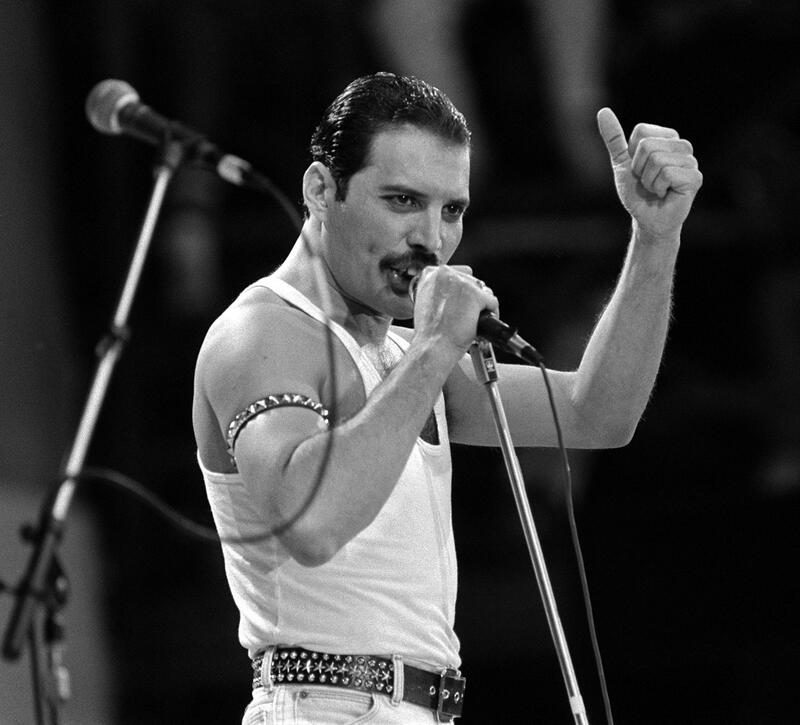 David Bowie, who performed at the Freddie Mercury Tribute Concert and recorded the song "Under Pressure" with Queen, praised Mercury's performance style, saying: "Of all the more theatrical rock performers, Freddie took it further than the rest. 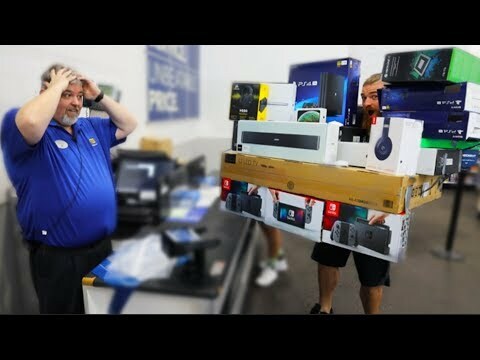 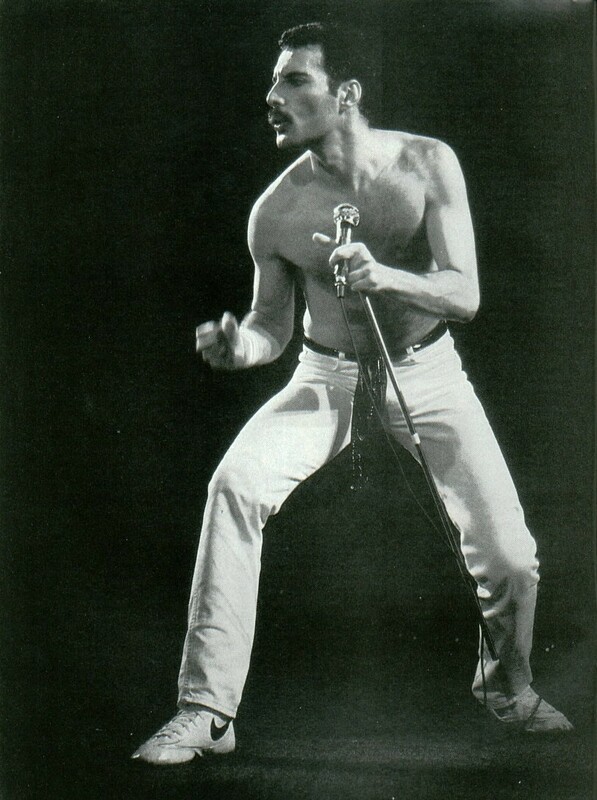 . . he took it over the edge. 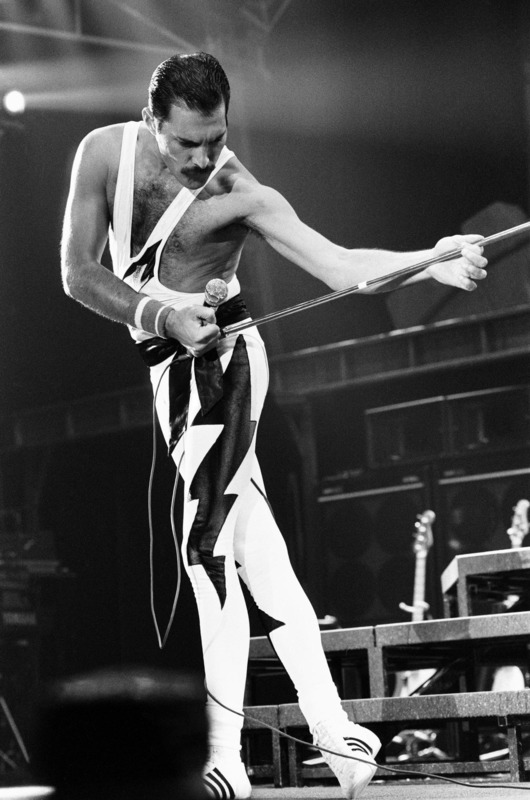 And of course, I always admired a man who wears tights. 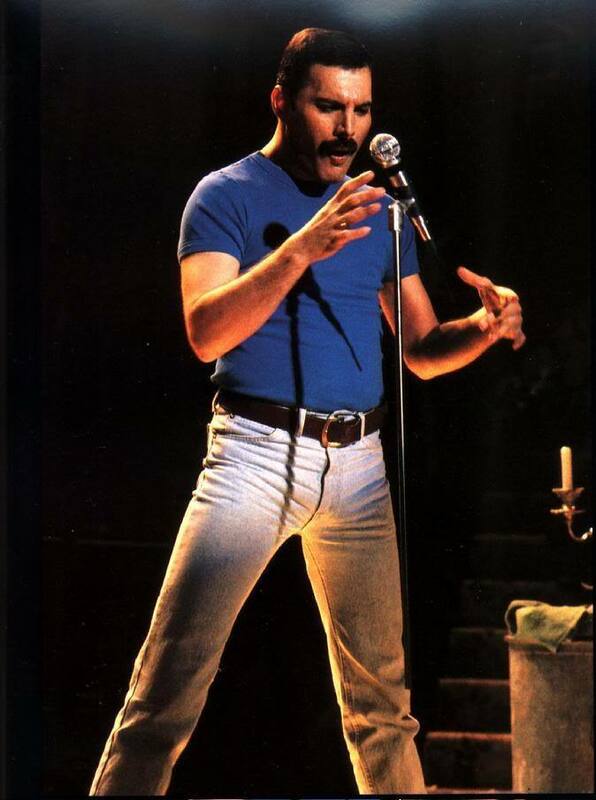 I only saw him in concert once and as they say, he was definitely a man who could hold an audience in the palm of his hand. " 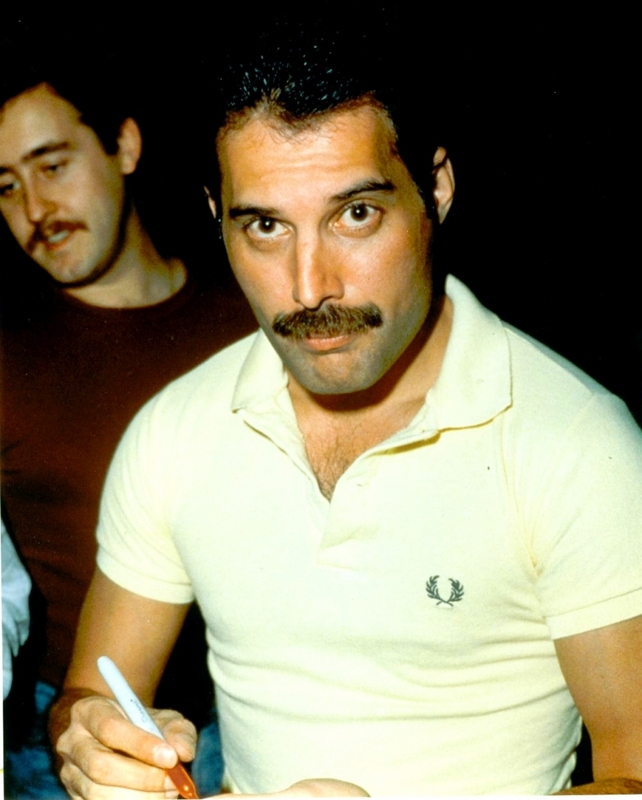 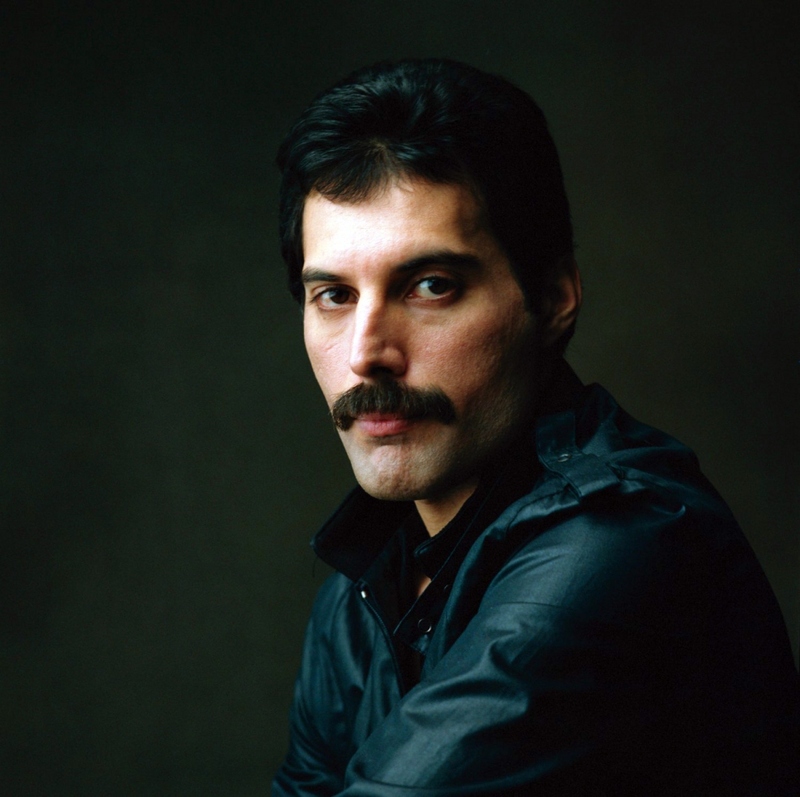 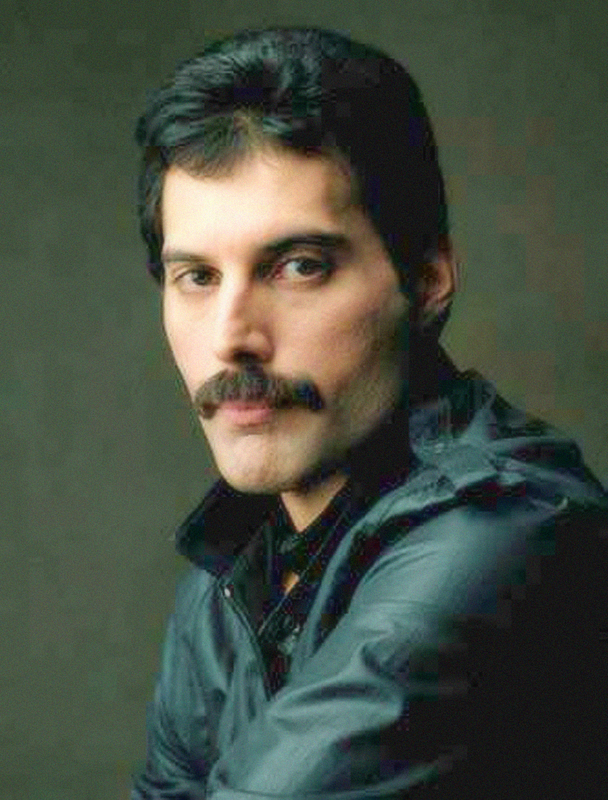 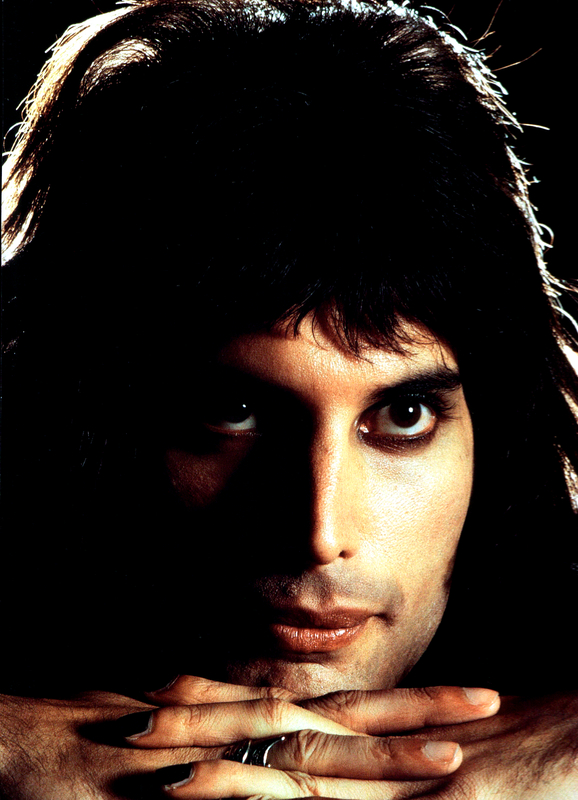 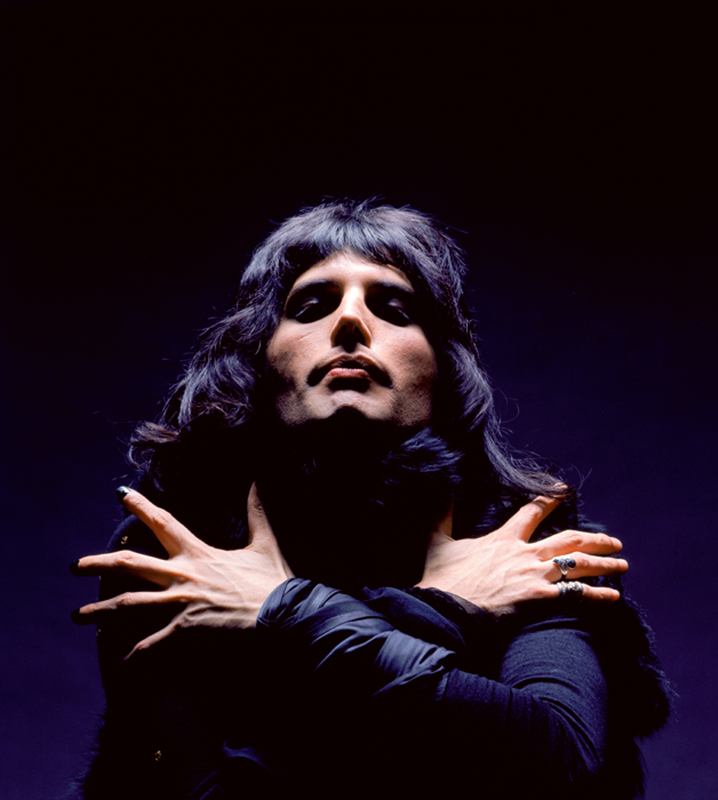 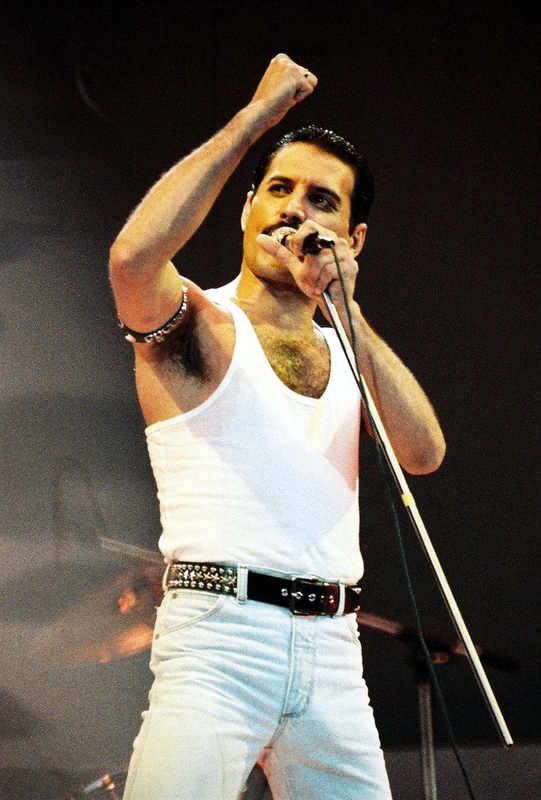 Queen guitarist Brian May wrote that Mercury could make "the last person at the back of the furthest stand in a stadium feel that he was connected". 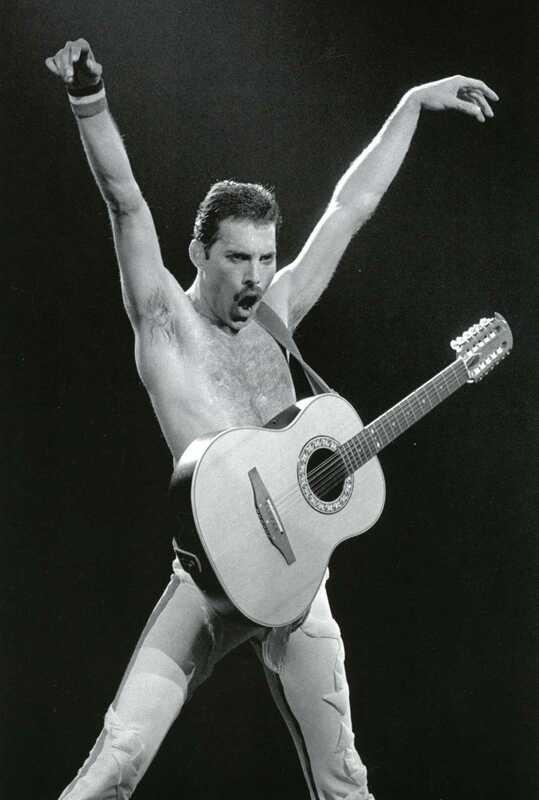 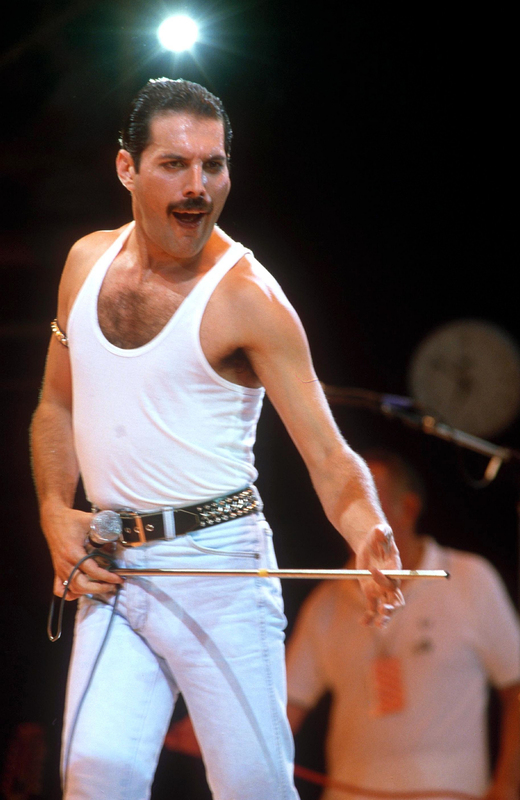 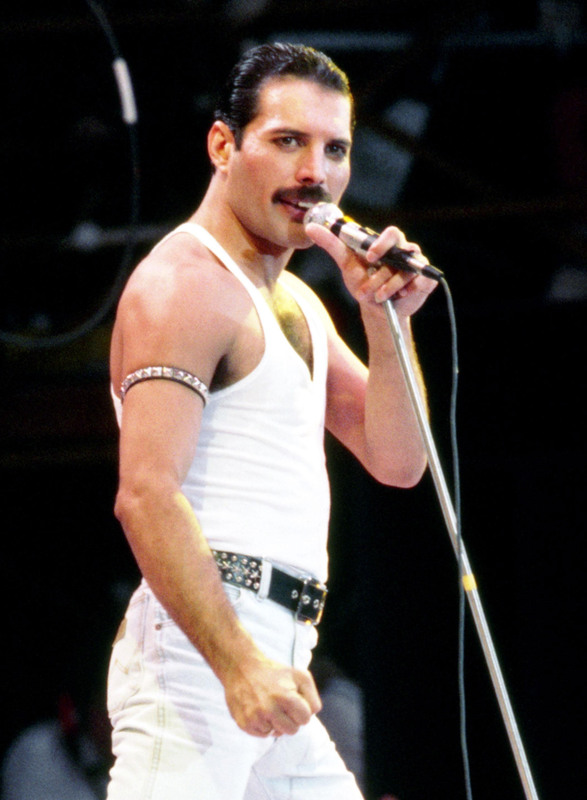 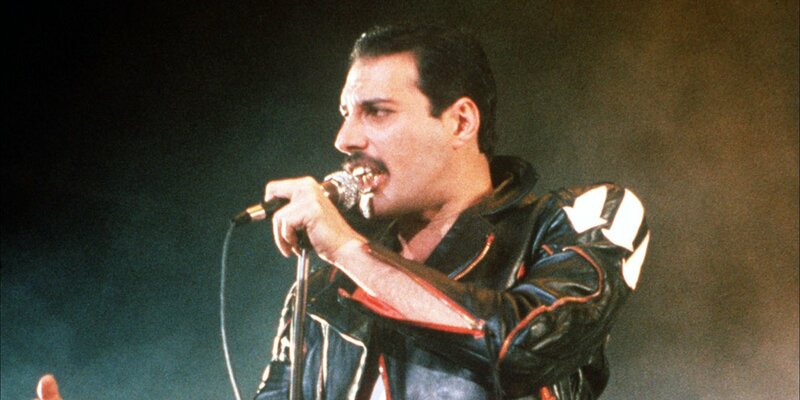 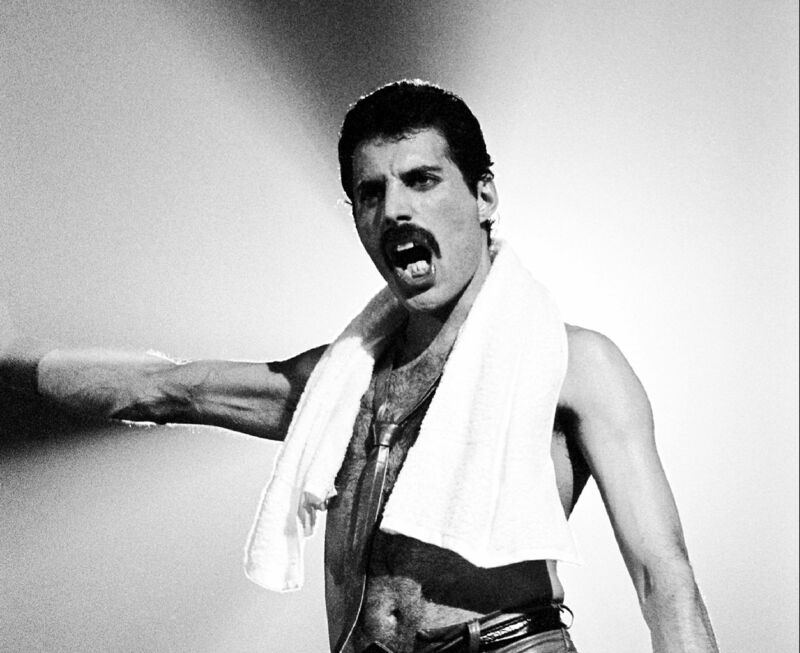 Mercury's main prop on stage was a broken microphone stand, which after accidentally snapping off the heavy base during an early performance, he realised could be used in endless ways.